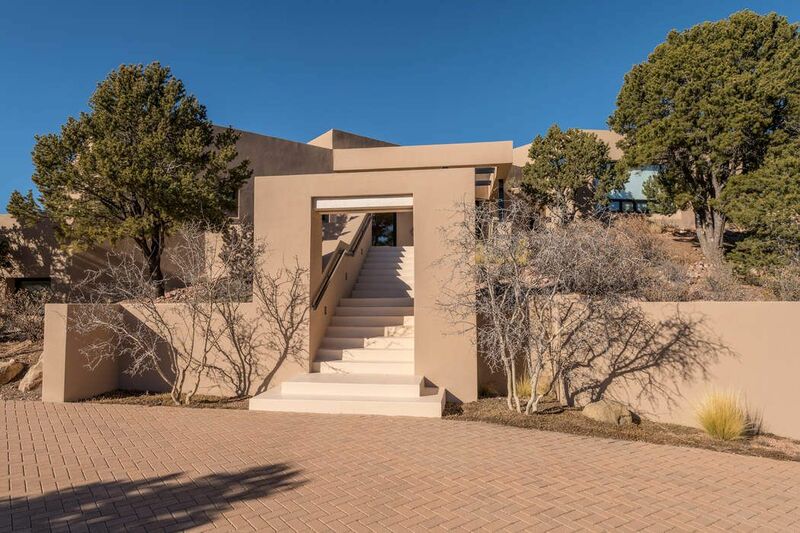 1204 North Summit Drive, Santa Fe, NM 87501 | Sotheby's International Realty, Inc.
$1,995,000 3 Bedrooms3 Full / 1 Partial Baths7,090 sq. 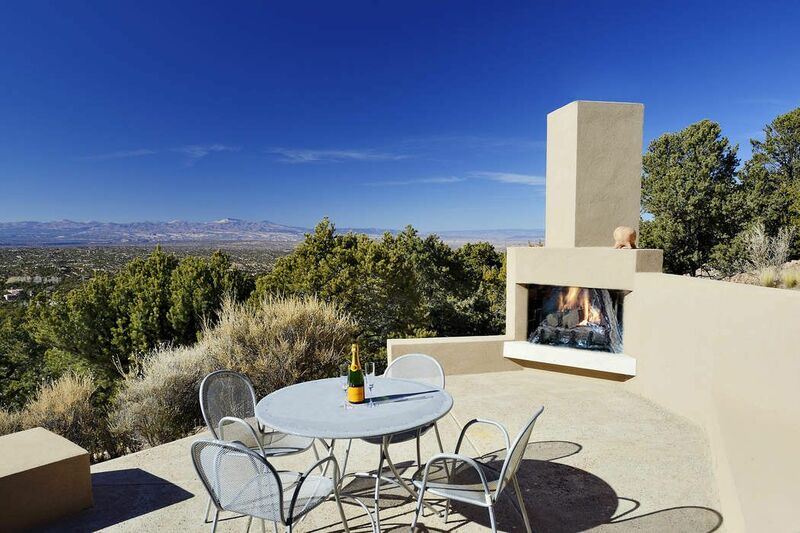 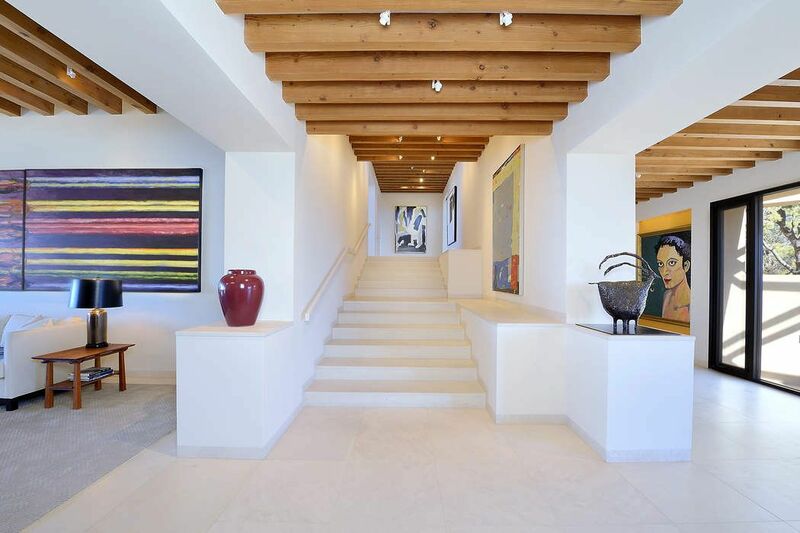 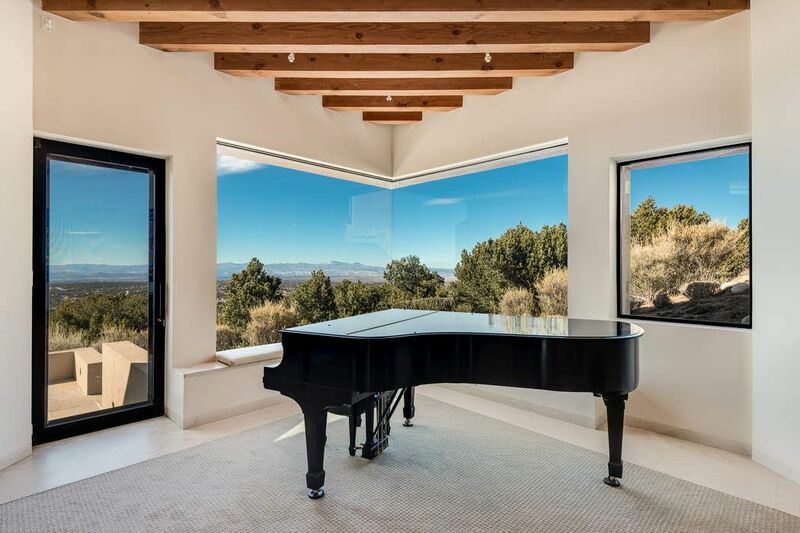 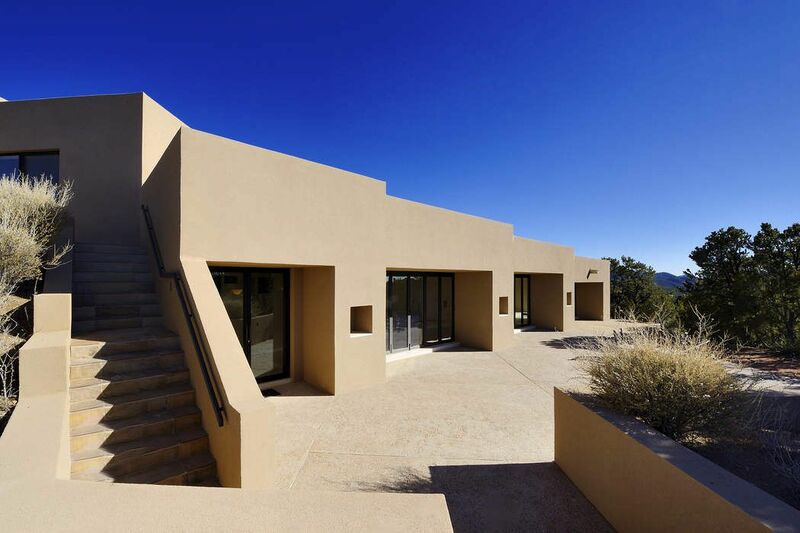 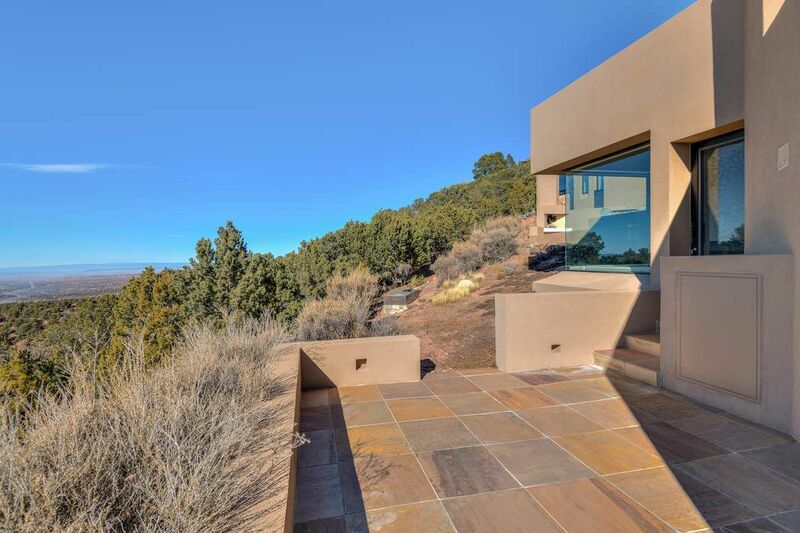 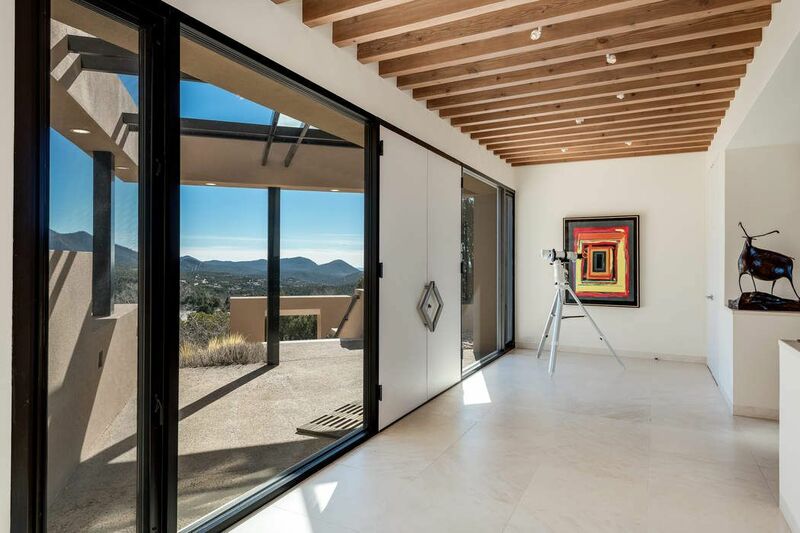 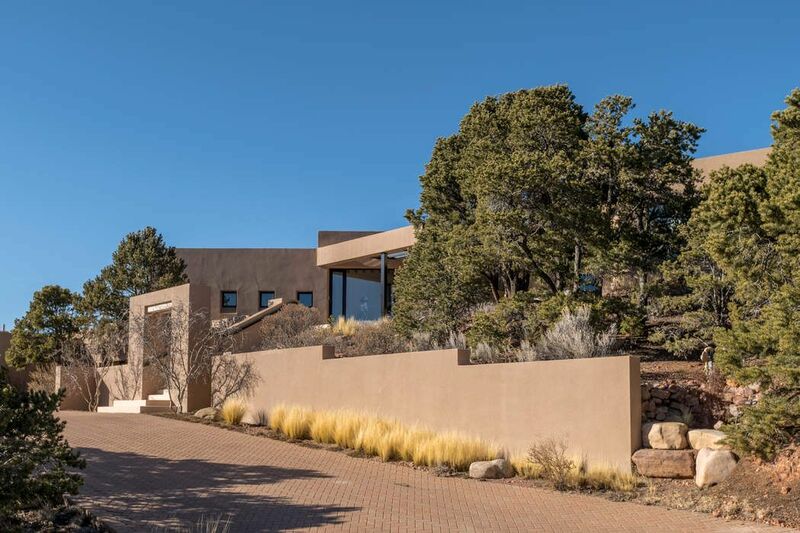 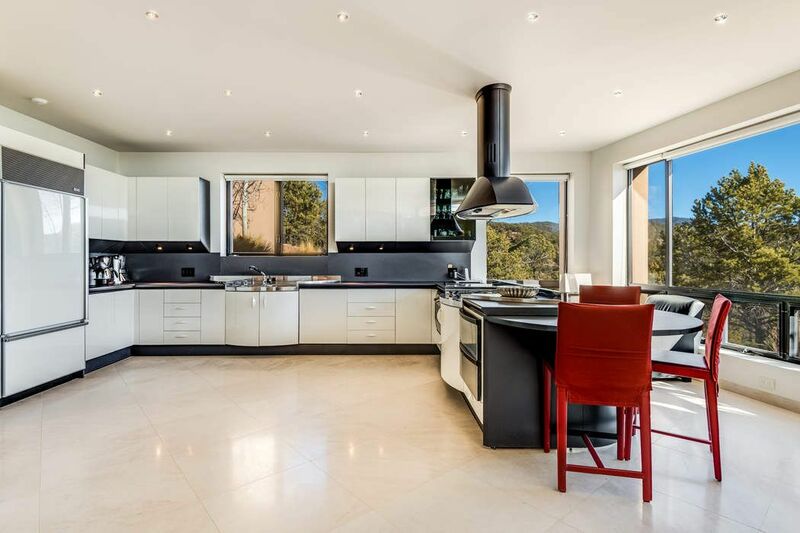 ft.
Perched high above Santa Fe in the Santa Fe Summit community, this stately 3 bedroom 4 bath home offers a modern, contemporary feel with luxurious features. 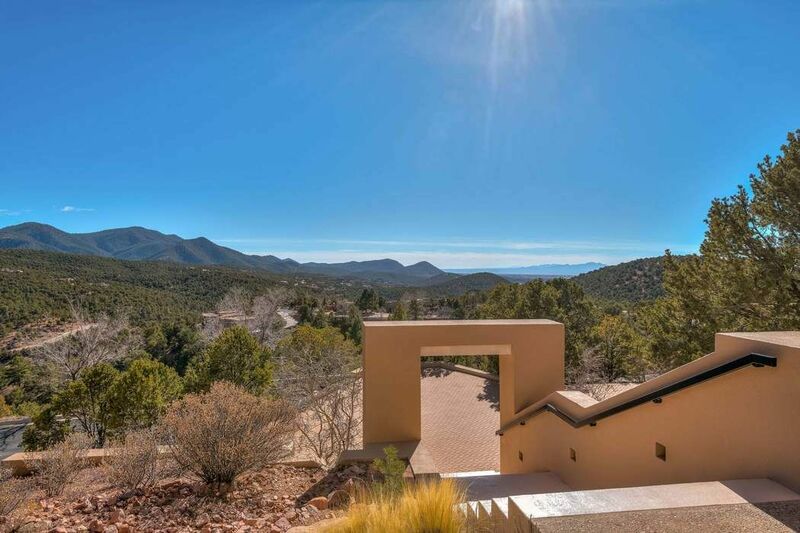 The intricate brick driveway brings you to an impressive entryway leading up to the home. 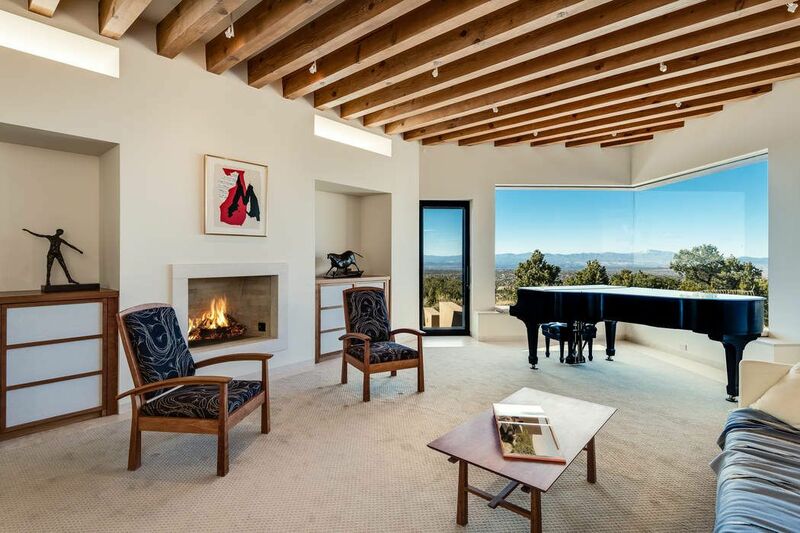 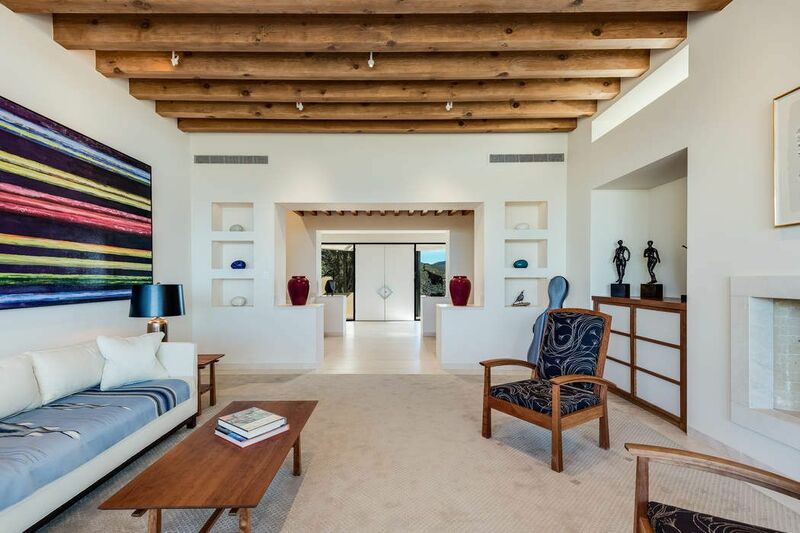 Once inside, the grand living area has high ceilings with beams, nichos, built-in storage space, and spectacular mountain views. 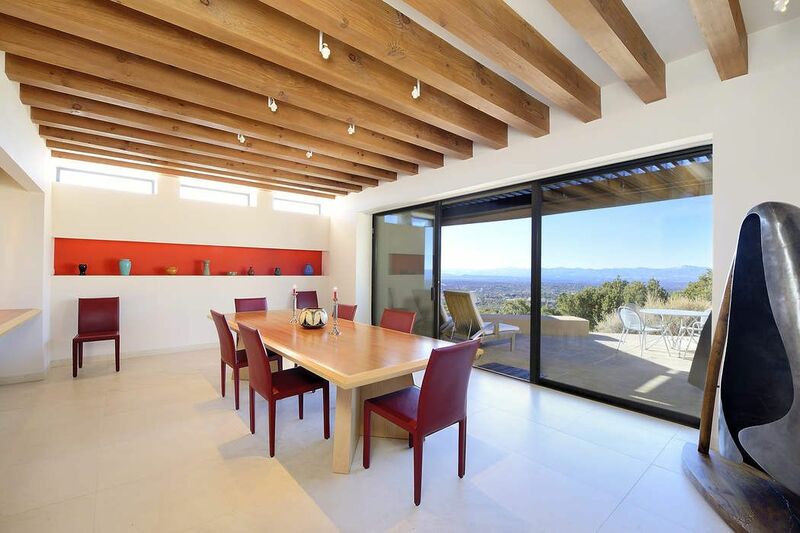 The spacious dining area features high windows and plenty of space to entertain a large party. 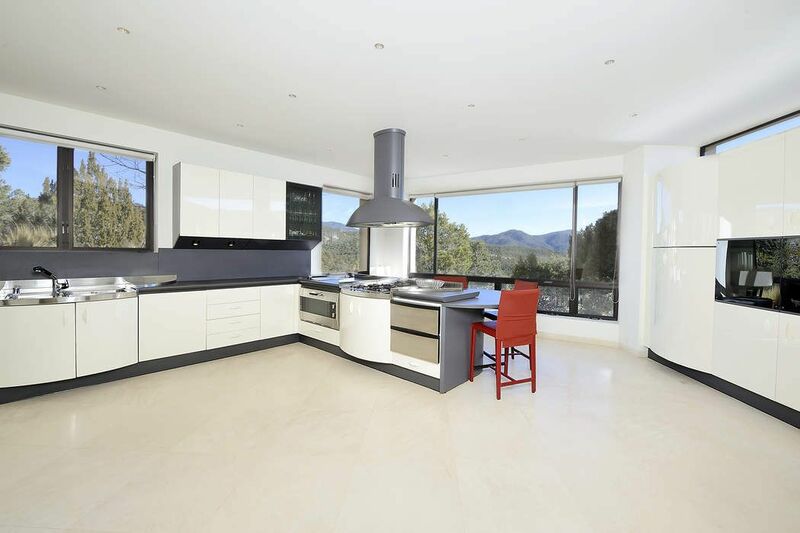 The kitchen includes ample cabinet space and breakfast bar seating. 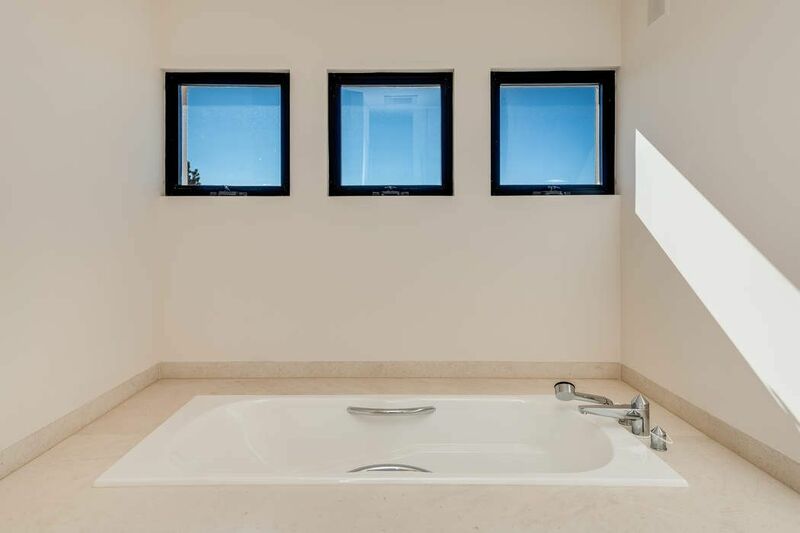 Relax in the tranquil master suite, with its own fireplace and a large bathroom with both tub and walk-in shower. 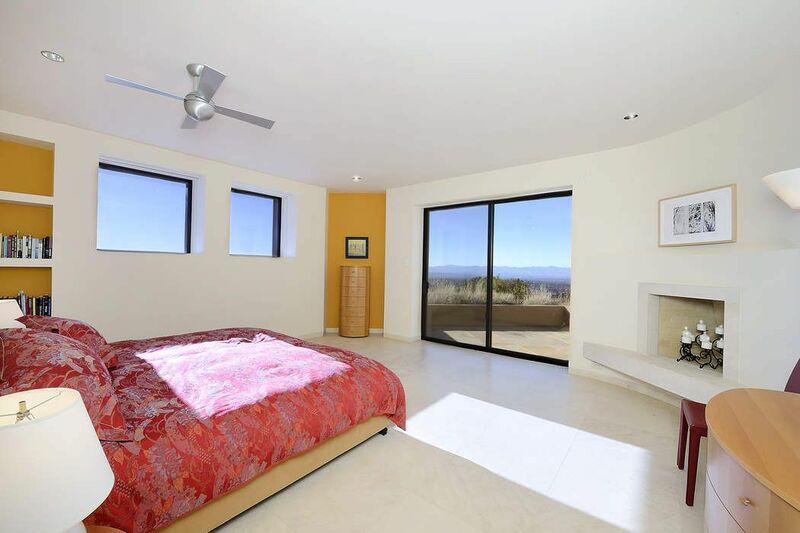 The master also has a sliding glass door leading out to a lovely terrace. 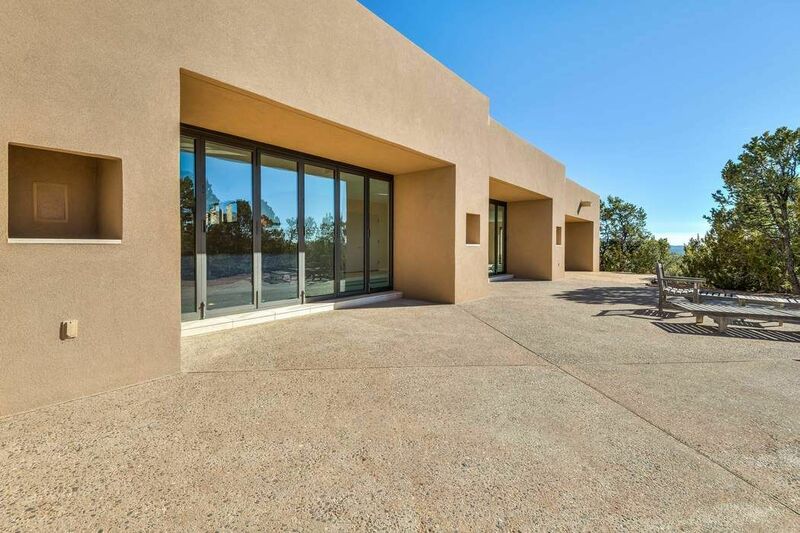 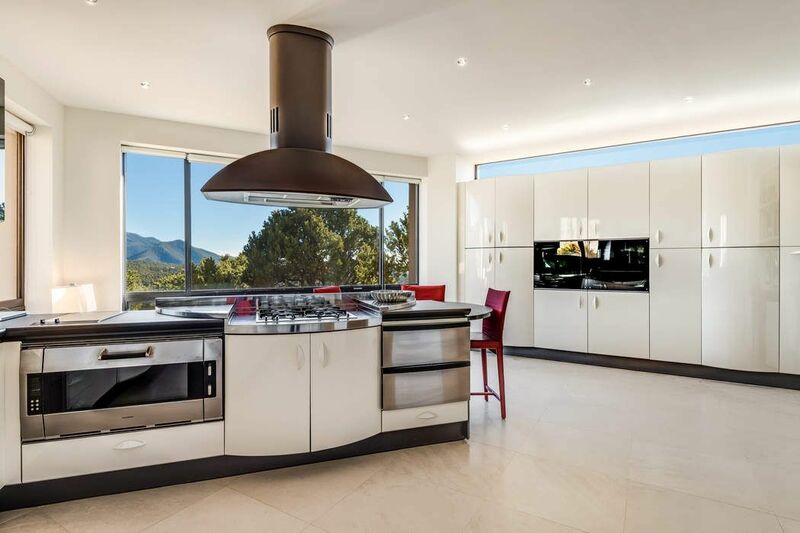 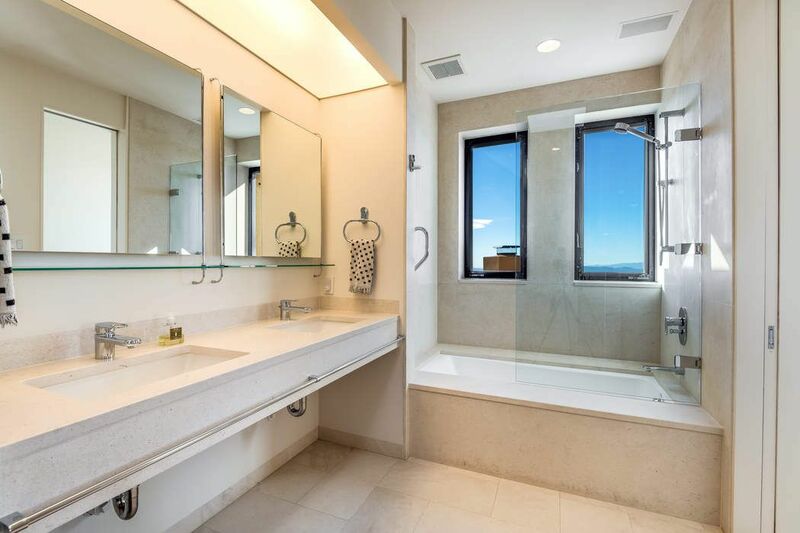 The true highlight of the home is the lower level, boasting a 60 foot salt water swimming pool with surrounding picture windows and folding glass panels. 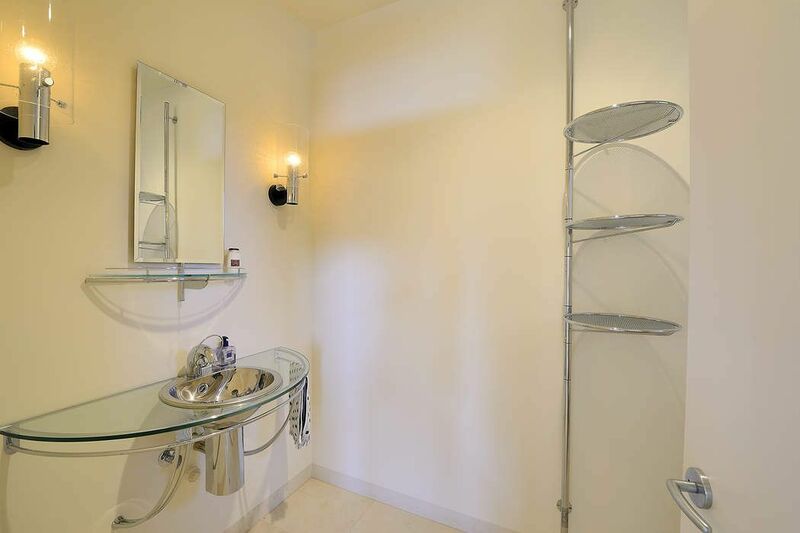 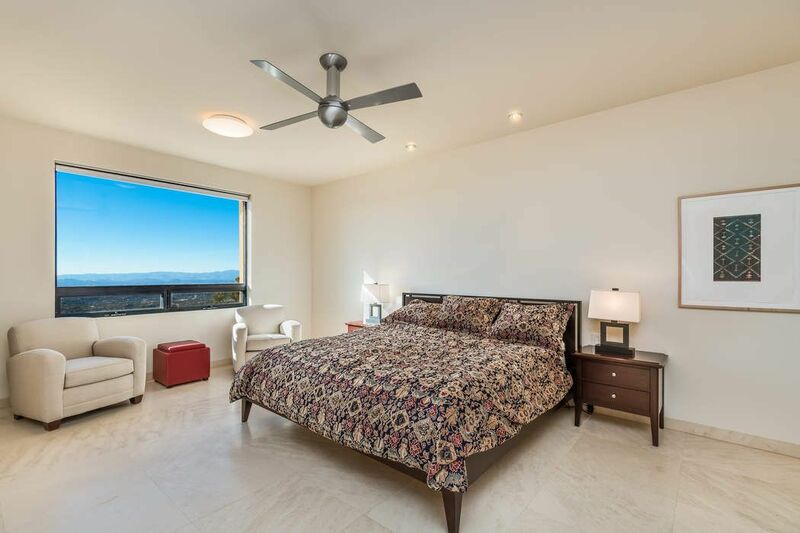 There is an additional room on this level that could be used as an exercise room, studio, or fourth bedroom. 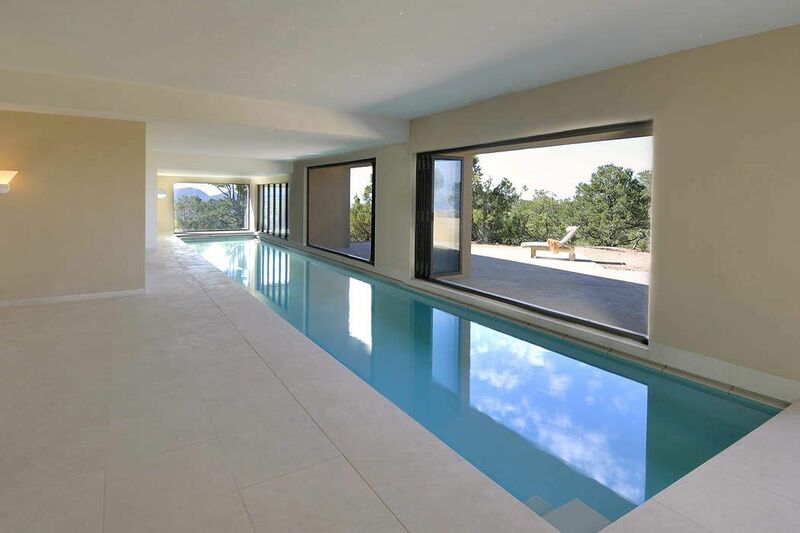 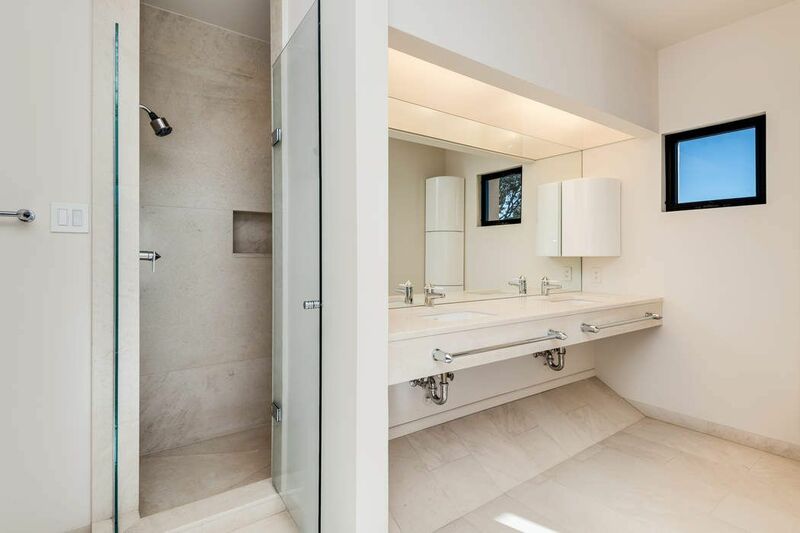 There are beautiful glass windows and elegant Portuguese limestone floors throughout the home. 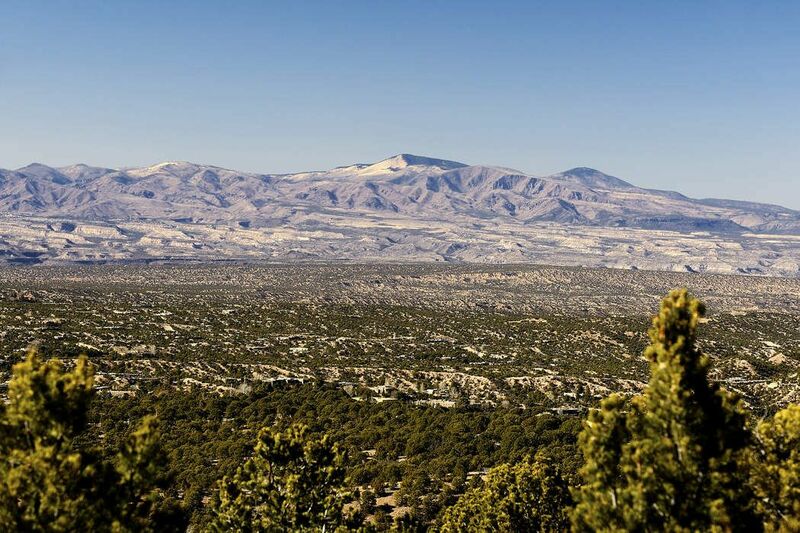 Enjoy the magnificent views for miles in nearly all directions. 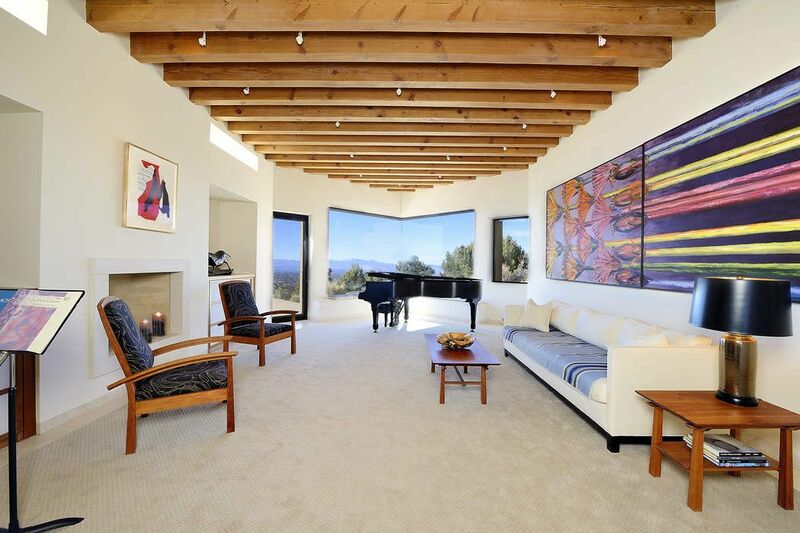 With a location in a private gated community, this home provides a tranquil mountain retreat. 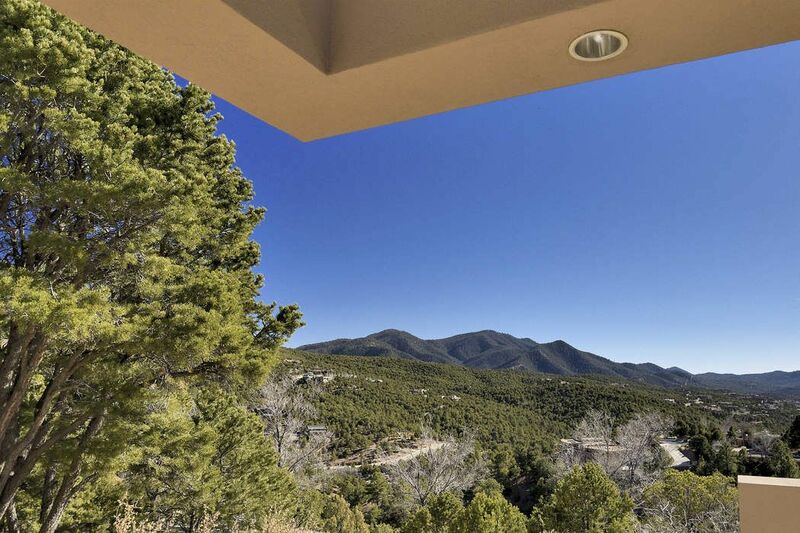 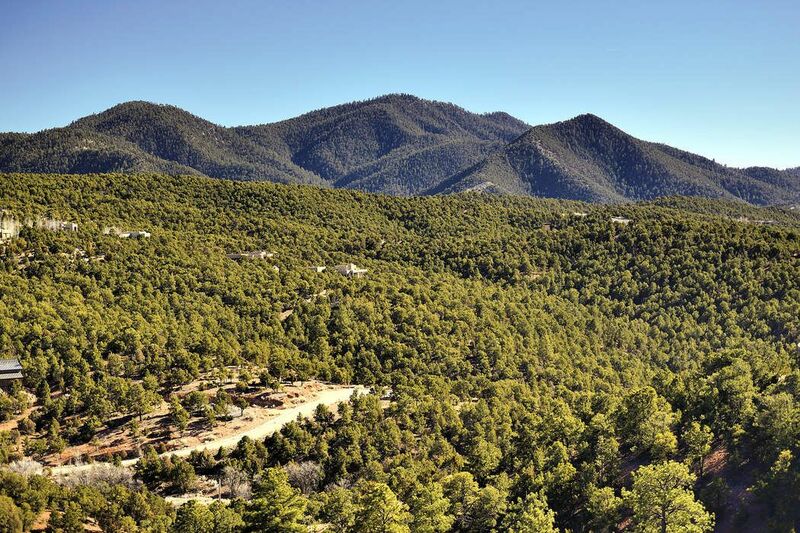 All this just minutes away from Ten Thousand Waves, the Santa Fe ski area, the Dale Ball trails, and all the attractions of downtown Santa Fe.